China's environment ministry will take two years to investigate manipulation of air quality data and claimed some local officials had tampered or concocted air pollution figures, according to state media reported by Reuters. Last month President Xi Jinping pledged at the National People’s Congress to punish violators of environmental laws with an “iron hand”, while a recent documentary on the causes and impacts of China's acrid air garnered hundreds of millions of clicks in China, underlining the public interest in the country's environmental crisis. Some local governments had forced monitoring stations to tamper with air quality figures, according to a report in state-owned news agency Xinhua, which quoted Wu Xiaoqing, vice minister of environmental protection. Wu said manipulation of data would severely damage the credibility of the government and environmental agencies and hinder efforts to measure airbourne pollution. "Guaranteeing the truthfulness of the data is the bottom line," Wu said. Monitoring stations directly affiliated to the ministry would help check data from other stations, Wu said. Meanwhile new research from Greenpeace and a Peking University research group claims that air quality is manipulated in Beijing, where realtime data has been provided by the city authorities since 2010 after the US embassy started and monitoring and publishing the data before the 2008 Olympics. 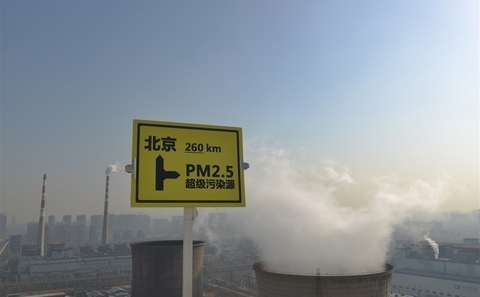 Titled “Air Quality Assessment Report”, the research group said that the average daily reading of PM 2.5 levels in Beijing last year was 98.57, 15% higher than the government statistics that claim 85.9. The research, which was reported by Chinese news websites Nangfang 163.com, and Caijing, added that air quality in the capital was twice as severe than the government has admitted, and that Beijing has had five polluted days out of every seven for the last two years. 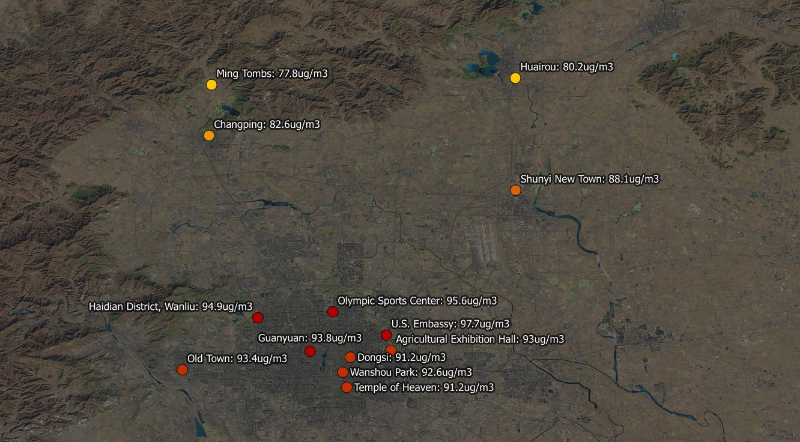 Beijing's 35 air quality monitoring stations throughout the city are often located far away from each other, providing a wide variety of results due to their surrounding environment and other factors, the report found. But the final air pollution figure is the average of all monitoring sites combined, no matter the variance between them. That means that if the air is better in rural areas, it will drag down the PM 2.5 reading when balanced with higher pollution levels in the most built-up areas. Over a year ago China’s premier Li Keqiang declared "a war on pollution" to clean up the country’s air, water and soil, but figures released this January showed hardly any improvement in air quality as heavily-industrialised provinces have been slow to close or enforce controls on power plants and factories.